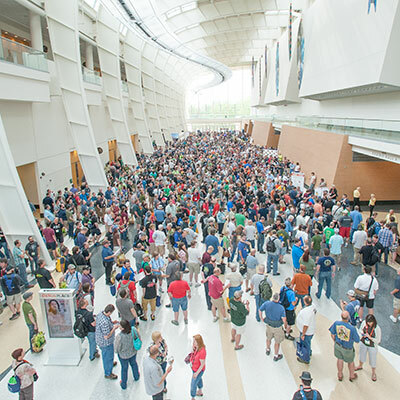 All exhibit space in the Homebrew Expo at the event comes in the form of a sponsorship, and includes all-access badges, an advertisement in the conference program, an insert in the attendee bag, a banner advertisement, and recognition and “Thank You” before, during and after the conference. Full outlines are available for each opportunity. Please contact us (see bottom of page) for more information. Place your brand in front of every attendee at the host hotel by branding the hotel key cards with your company and key messages. An invaluable opportunity. The Beer Service Team at the conference has a critical role in making the event run smoothly. The members of this team provide homebrew and craft beer during all seminars, in the Homebrew Expo and at all evening events. You see these guys everywhere! Brand the team’s apparel with your logo and be recognized as bringing one of the most visible aspects of the conference to attendees. This sponsorship also includes four badges to the conference, and exhibit space in the Homebrew Expo and visibility on all other conference materials. Be recognized as the company kicking off the first official nightly event of the conference! After attendees spend time learning and hanging out in the Homebrew Expo, the AHA hosts a Kickoff Party featuring craft brewery and homebrew beers with great hors d’oeuvres. You’ll be the only company featured in the center of the room to supply to homebrew enthusiasts. This sponsorship also includes four badges to the conference, and exhibit space in the Homebrew Expo and visibility on all other conference materials. 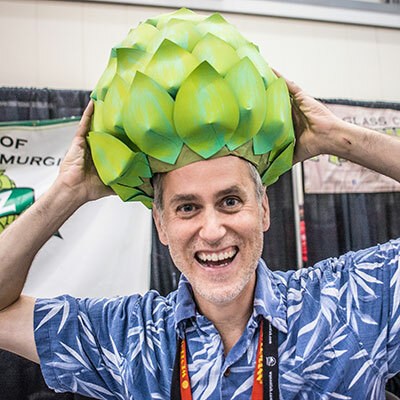 The Homebrew Expo is the place where attendees spend all their free time away from seminars. 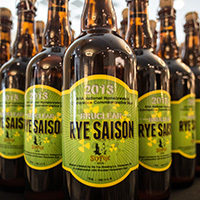 Not only does the Expo feature more than 70 innovative companies with great products and services, but it also offers craft beer and homebrew on tap in a large beer garden showcasing club beers and local craft brewery beers. 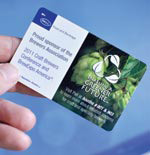 The Beer Garden will showcase your brand, plus you’ll also get a booth in the Expo, a full-page ad in the event program, a bag insert to all attendees and be recognized on all touch points at the event. 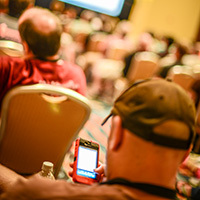 Gain exclusive naming rights to brand the mobile application for the conference so that when attendees access event happenings via their mobile device (Android & iPhone), your brand is the first thing they see. This sponsorship also includes four badges to the conference, and exhibit space in the Homebrew Expo and visibility on all other conference materials. Be recognized as the company bringing lasting memories to attendees! We’ll provide the photographer who will be present at all event happenings, and then showcase these photos post-event on the conference website for attendees to download and enjoy. The best part: All photos will be branded with your company and the AHA conference. This sponsorship also includes four badges to the conference, and exhibit space in the Homebrew Expo and visibility on all other conference materials. 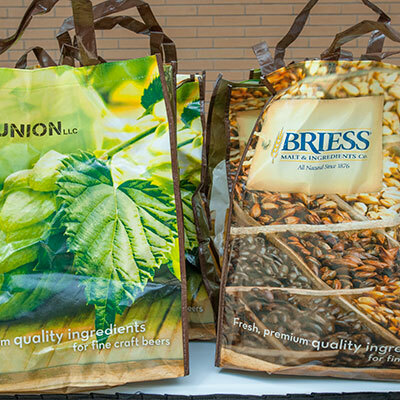 + cost of bag National Homebrewers Conference attendees always look forward to their attendee bags, so why not promote your company in this high-visibility collateral opportunity that all of the homebrewers will see? 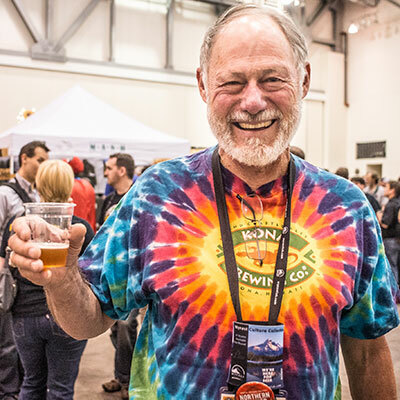 Help the American Homebrewers Association provide a more sustainable event. Be recognized as the exclusive green conference sponsor offering these necessary services to attendees. They’ll reward you future business! 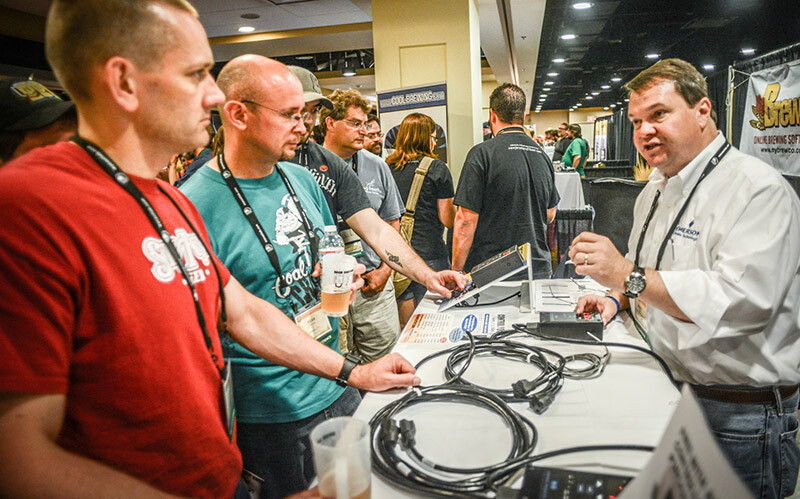 + product Sponsor the National Homebrewers Conference in one of the most visible ways—everybody wears lanyards and everybody sees them at the event. 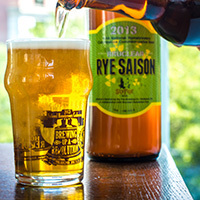 If you want to put your company’s brand in front of homebrewers, this is an easy way to do it. You will also receive exhibitor space at the conference to promote your brand. 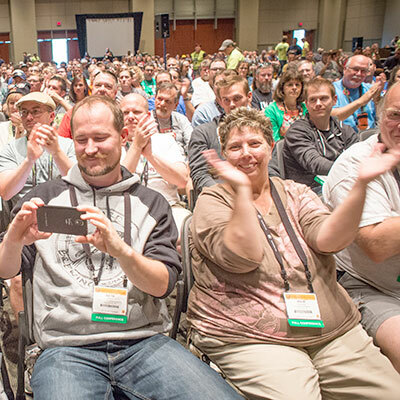 Associate your company with the wisdom and tone of the National Homebrewers Conference. The Keynote address kicks off the seminars on early Thursday afternoon. 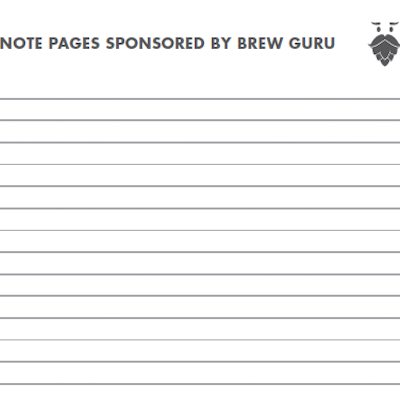 Brand up to 16 different pages in the Homebrew Con Program with your company’s logo. Be recognized as helping attendees bring back the killer information they learn at event home to perfect their craft. 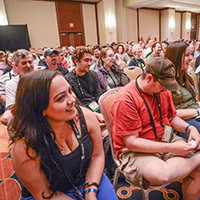 (per room) Educational seminars have always been the heart and soul of the National Homebrewers Conference, and sponsoring one of the seminar rooms will give your company prominent visibility where the rubber meets the road. You will receive banner placement in the seminar rooms in addition to all other great sponsorship benefits. 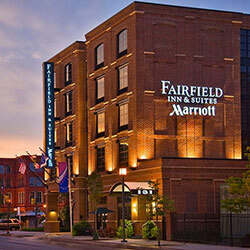 Make the most out of the conference and bring attendees together in a comfortable setting hosted by your company. You’ll have an hour-and-a-half to talk to prospects, demonstrate your service/product offers and secure future business. + cost of product You can’t have a beer event without glassware, so why not put your company’s brand in the hands of thousands of thirsty homebrewers? As a Commemorative Glass Sponsor, your sponsorship will extend beyond the three days of festivities because most attendees keep these glasses for posterity, proudly displaying them at home. 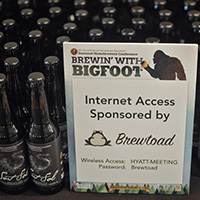 Commemorative gifts have lasting value beyond the three days that attendees enjoy Homebrew Con, and similarly, this sponsorship opportunity provides long-term visibility and benefits to your company. + cost of product Are you looking to achieve visibility and promote environmentally-friendly habits at the National Homebrewers Conference? 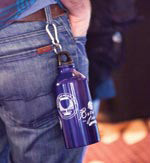 Water bottle sponsorship will give your company visibility on a reU.S.able product that will save waste and be a souvenir for many attendees. You will also receive exhibitor space at the conference to promote your brand. 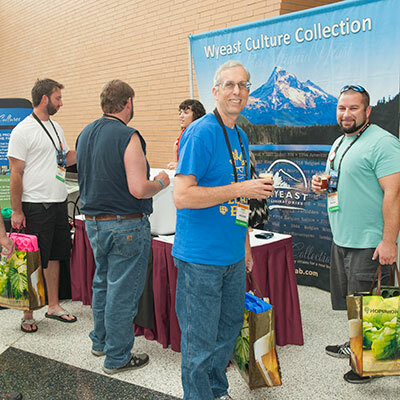 + gift of your choice Be the first to welcome attendees to the National Homebrewers Conference by providing a gift at registration or having a branded basket placed in their room one evening. Your generosity will be appreciated. +cost of stations Brand stations with your company logo for attendees to charge their computers, phones, etc. Have your company recognized as providing convenience and a valuable service during the event. + cost of service Take the worry out of transportation costs and logistics by offering attendees a free shuttle service at peak times of arrival and departure from the event. Attendees will no doubt appreciate the gesture. 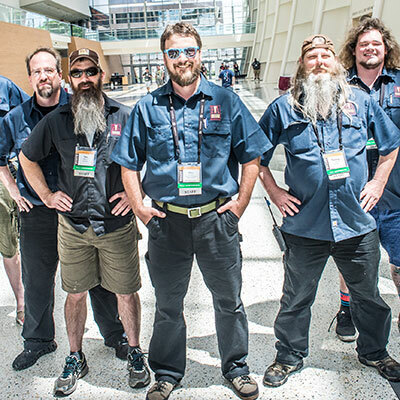 Without the local committee volunteers at the National Homebrewers Conference, the American Homebrewers Association wouldn’t be able to put on this yearly event. The volunteers help serve the great homebrew from around the country, provide events pre-, during and post-conference, and help the seminars, evening events and the entire conference run smoothly. Have your logo placed on the bright and recognizable shirts that our hundreds of volunteers wear during the event. + cost of food and beverage Be recognized as the sponsor who provides a much needed pick me up of coffee, tea and snacks to attendees between seminars during afternoon sessions. Do you have a creative idea that you don’t see listed here? Please contact us, and we will work with you to bring it to life, providing great exposure at the National Homebrewers Conference.